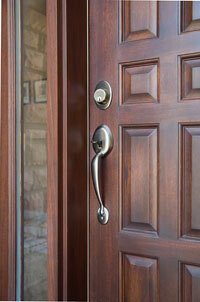 If you need to update your home’s door hardware, look no further than 31-W Insulation. We’ve proudly served homeowners in the South and Midwest since 1972, giving us decades more experience than many other contractors. But don’t just entrust your home improvement projects to us because we’re highly experienced; let us help transform your house into a home because we’ll provide your family with the level of customer care you deserve. No matter which type of hardware you require, you’ll have your choice of material, finish, and style, ensuring that even your home’s smallest details will perfectly suit your taste in décor. You can also turn to us for many of your other home improvement needs. In addition to door hardware, we install shower enclosures, marble fireplace surrounds, simulated stone siding, and various other home remodeling products. Contact us today to learn more about the services we provide in Ohio, South Carolina, Alabama, Indiana, and surrounding states in the South and Midwest.